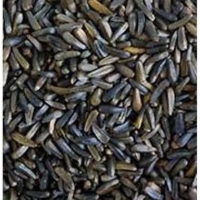 Browse niger-seeds suppliers by country and region. Niger seeds are used for bird feeding. It is rich in carbohydrates, protein and dietary fibres. Niger oil is widely used as cooking oil, in soaps and paints. It is also used as a spice in food. Specifications: Moisture: 12% max. Purity: 98% max. 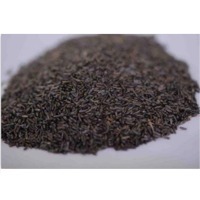 Niger Seeds (NOUG) Niger Seed Is Considered To Be The Native Of Ethiopia . From The Place Of Origin, it migrates to east Africa and India. Niger seeds are grown in moderate temperature of 18% to 23% in all types of soils from sandy to deep clay loams. It is sown on March / April and harvested on June. 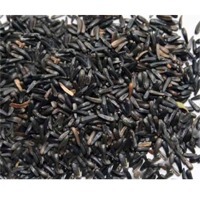 it is popular for its light flavor and oil content . Ethiopia uses the Niger seed for the oil extraction for human consumption as cooking oil. Short on time? Let niger-seeds sellers contact you. 100% cleaned & sorted niger seeds and double filtered niger oil. 15kg hdpe bag 5kg oil tin. 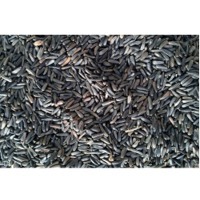 99% purity, clean niger seeds. Packed in 50/25 kg new pp bags or bulk in container. Sesame seeds, marble blocks, niger seeds, sunflower seeds, groundnuts, pumpkin seeds, chick peas, beans, lentils, kidney beans. Niger seeds, annatto seeds, tamarind seeds. Beans, pulses and oil seed products, red kidney beans, black beans, white pea beans, read speckled kidney beans,light speckled kidney beans, pinto beans, desi chickpea, kabuli chickpea, oil seeds, sesame seed, niger seed.